Peter Kubina is the Managing Partner of Dentons’ Bratislava office and co-head of the Slovak Banking & Finance and Dispute Resolution practices. In his practice, he focuses on banking and finance transactions (including corporate lending, acquisition and leveraged finance, real estate finance, project, export and asset finance, and capital markets), dispute resolution matters (both litigation and arbitration), and also M&A transactions in the real estate sector. His experience includes advising both lenders and borrowers on syndicated and bilateral projects, leveraged acquisitions, real estate, export, asset and general corporate financing transactions. 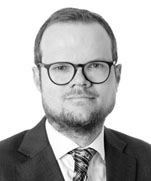 He has also advised on a number of debt restructurings, security enforcement actions and dispute resolutions in various areas ranging from civil, employment and commercial litigation to constitutional matters and strategic litigation, as well as performing the function of an arbitrator in domestic and international arbitrations. Peter occasionally lectures at Comenius University on topics related to banking and finance as well as constitutional law. Sberbank: Advising on syndicated facilities in the value of €870 million to Slovenské elektrárne, a.s., the Slovak subsidiary of ENEL. One of the facilities will be guaranteed by EXIAR (Russian ECA), and we shall also advise on the guarantee. The financing will be used for the purchase of goods and services relating to the construction and operation of the Mochovce Nuclear Power Plant and for SE’s general corporate purposes. Česká spořitelna (ERSTE Group), Komerční banka (Société Générale Group) and UniCredit Bank Czech Republic and Slovakia: Advising the syndicate of banks on the term and revolving facilities for Fortuna Entertainment Group N.V. on its acquisitions of Fortuna Romania (remaining stake in it) and Hattrick Group by Penta Investments group. This was a complex leveraged finance transaction, unique in that it funded two separate acquisitions and involved eight jurisdictions. Tatra banka (Member of Raiffeisen Group): Advising the bank on a €30 million structured financing (senior term and revolving facility) for a large Slovak waste management company, including the co-financing of investments for the capacity expansion of the disposal site. Československá obchodní banka (Member of KBC Group): Advising on the refinancing of RJ Development (a Slovak subsidiary of Verdi Capital), owning a photovoltaic power plant in Slovakia with installed output of 3.37 MW. Slovenská sporiteľňa (Member of Erste Bank Group): Advising on a complex cross-border €40 million project financing of two wind farm projects in Finland. Our advisory encompassed legal services under Slovak, Finnish and English law, including the negotiation of the foreign investment insurance policy with Slovak export credit agency Eximbanka. Tatra banka (Member of Raiffeisen Group): Advising on the syndicated loan of €250 million to refinance the Eurovea multifunctional complex in Bratislava. The syndicated loan was arranged by Tatra banka. The other banks involved include Komerční banka (a member of the Société Générale Group) and Všeobecná úverová banka (a member of the Intesa Sanpaolo Group). This was the largest real estate loan on the Slovak market in 2016. Tatra banka (Member of Raiffeisen Group) and UniCredit Bank Czech Republic and Slovakia: Advising the club of lenders on financing of the National Football Stadium in Bratislava. A club of Slovak banks led by Všeobecná úverová banka (Member of Intesa SanPaolo Group): Advising the club of lenders on refinancing of the Digital Park property in Bratislava owned by Penta Investments. Club of Slovak banks Tatra banka (Member of Raiffeisen Group): Advising on a syndicated €250 million credit facility for construction of an ammonium production facility by DUSLO, a.s., a large Slovak chemicals producer. Komerční banka (Member Société Générale Group): Advising on a €45 million financing of Macquarie Infrastructure and Real Assets’ (part of the Macquarie Group) acquisition of a logistics portfolio in the Czech Republic and Slovakia from HB Reavis. Slovenská sporiteľňa and Komerční banka (Members of Erste Bank Group and the Société Générale Group respectively): Advising banks as joint lenders on financing of the acquisition of the Shopping Centre Laugaricio in Trenčín, Slovakia by the Prvý realitný fond managed by IAD Investments. The transaction was one of the largest property transactions in Slovakia in 2016. UniCredit Bank Czech Republic and Slovakia: Advising on the financing of the acquisition of Twin City A, a modern office building in Bratislava, Slovakia, by Prvý realitný fond managed by IAD Investments, from HB Reavis. Tatra banka (Member of the Raiffeisen Group) and UniCredit Bank Czech Republic and Slovakia: Advising a club of lenders led by Tatra banka on the €45 million refinancing of the major real estate project - CITY ARENA in Trnava, Slovakia. The unique complex offers a combination of a football stadium and a shopping mall, and includes also office buildings, a cinema complex and a two-storey underground car park. It is the first project of this kind and extent in Slovakia. Privatbanka and Prima Banka Slovensko: Advising the banks on the €42 million structured financing of the major real estate project – Business Center Tesla I and II, in Košice, in Eastern Slovakia. UniCredit Bank Czech Republic and Slovakia: Advising on acquisition financing for acquisition of a regional heat producer in Trenčín. Všeobecná úverová banka (Member of Intesa SanPaolo Group): Advising a syndicate of banks consisting of VÚB, BKS Bank and OTP Banka Slovensko in connection with the financing of construction and operation of the One Fashion Outlet in Voderady, the first outlet shopping centre in Slovakia. We provided services in connection with the financing for the construction of the project and the subsequent refinancing in connection with the change in debtor’s shareholder structure. Tatra banka (Member of Raiffeisen Group): Advising in connection with the financing of development and operation of a built-to-suit logistics project developed by PointPark Properties to be operated by DHL. Tatra banka (Member of the Raiffeisen Group) and UniCredit Bank Czech Republic and Slovakia: Advising on financing of the operator of the Slovak motorway e-toll system. Dr. Max: Advising in connection with an €180 million senior leveraged dividend credit facility provided by a regional club of banks (UniCredit, Raiffeisen, Komerční banka, Tatra banka) to the largest retail pharmacy group operation in the CEE region. The advice involves English, Czech, Slovak and Polish law and is coordinated from the Bratislava office. Syndicate of Slovak banks: Advising in relation to a senior leveraged dividend recapitalisation credit facility provided to a regulated investee company of one of the largest Slovak private equity houses. UniCredit Bank Czech Republic and Slovakia: Advising on a complex €53 million financing of CTP’s acquisition of a portfolio of six logistic parks from J&T and Aviva. Tatra banka (Member of Raiffeisen Group): Advising on €46 million financing of CTP’s acquisition of two major logistics parks in western Slovakia and an administrative building, including the preparation of a comprehensive set of financial documentation, due diligence of targeted properties and advisory services related to the settlement of the purchase price. CNIC Corporation Limited: Representing the client, an investment company owned by the Chinese government, on purchase of Prologis Park Galanta-Gáň in Slovakia. Prologis is a world leader in logistics real estate. Park Galanta-Gáň comprises 240 thousand square meters of class A logistics space across four facilities. The purchase was the largest logistics assets sold in the CEE region. GEP (Goodman European Partnership): Advising on the intra-group sale and purchase of the Slovak properties: SPV Goodman Senec 5 Logistics and SPV Goodman Senec 6 Logistics. 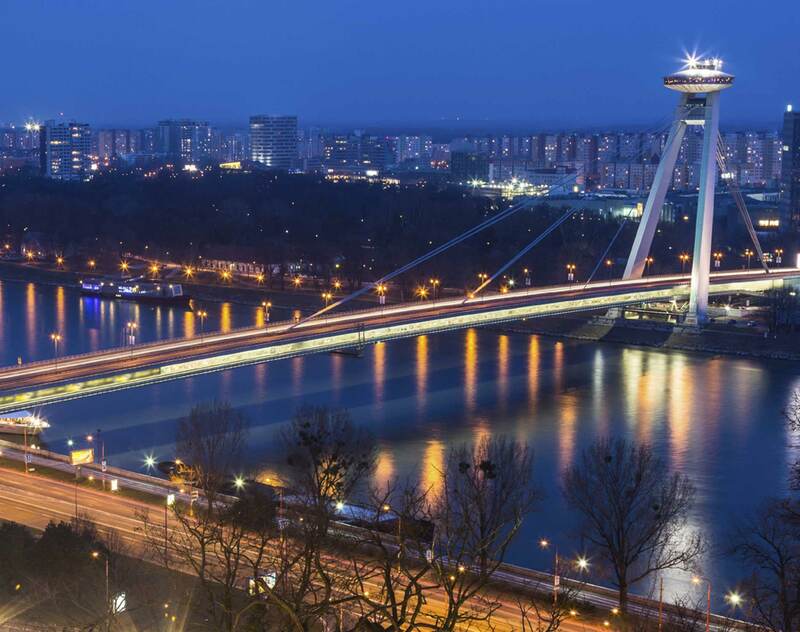 YIT Slovakia: Advising the client on acquisition of various brownfield properties in Bratislava (Cvernovka, Bergamon, Istropolis) as well as on joint venture matters relating to development of such properties. Tatra Asset Management: Advising the client on acquisition of Central and CBC properties in Bratislava. National Council of the Slovak Republic: Representing the Slovak parliament in landmark constitutional court proceedings relating to judicial review of abolition of self-amnesties issued in 1998 by then-acting president Vladimir Meciar in relation to suspected criminal acts committed by state officials (including the Slovak Intelligence Service) against several citizens (including the abduction of the son of former Slovak president Michal Kovac), in which the Slovak Constitutional Court upheld the abolition of these self-amnesties. Acting as arbitrator: Acting as arbitrator (both sole arbitrator and member of arbitral tribunals) in domestic and international arbitrations concerning sale of goods and shareholder disputes pursuant to various Slovak and international rules, including the ICC, UNCITRAL, Vienna Rules and Swiss Rules. Slovak general prosecutor-elect: Successfully representing the client in a high-profile civil rights case before the Constitutional Court of the Slovak Republic concerning refusal of the president of the Slovak Republic to appoint the client into the office of the Slovak general prosecutor. City of Martin: Representing the City of Martin in the proceedings at the Slovak Constitutional Court in the infringement case related to the right for a fair trial regarding disputed speculative claims brought against the city. Group of 66 members of the National Council of the Slovak Republic: Representing a group of 66 members of the National Council of the Slovak Republic (the parliament of the Slovak Republic) in the proceedings at the Constitutional Court of the Slovak Republic regarding the constitutionality of the legislation on minimum pensions. Group of 30 members of the National Council of the Slovak Republic: Representing a group of 30 members of the National Council of the Slovak Republic (the parliament of the Slovak Republic) in the proceedings at the Constitutional Court of the Slovak Republic regarding the constitutionality of the Criminal Code amendment that substantially restricts freedom of speech. Group of 30 members of the National Council of the Slovak Republic: Representing a group of 32 members of the National Council of the Slovak Republic (the parliament of the Slovak Republic) in the proceedings at the Constitutional Court of the Slovak Republic regarding the constitutionality of a law passed by the parliament that allows the state motorway company to build motorways on private land without completion of proper expropriation proceedings. N Press: Representing the client N Press, a publisher of an independent daily newspaper Dennik N, in breakthrough and publicly watched case related to actions of public authorities to penalize the client for using its right to freedom of expression. Slovak subsidiary of a large international food production company: Representing the client in a speculative arbitration brought against the client relating to termination of cooperation with its Slovak distributor and subsequent litigation. International construction company: Representing the client in speculative arbitration brought against the client as sub-contractor by the general contractor with a view of avoidance of payment to the client in relation to a large energy project in Slovakia. Slovak subsidiary: Defending an international listed technology company in disputes with former senior manager in relation to slander and confidentiality undertakings. Telecommunication operator: Defending in litigation with a competitor in relation to unfair advertising. Slovak bank: Representing in litigation against the tax authorities over wrongful tax treatment of in-kind benefits provided to seconded employees. Financial investor: Defending in an arbitration and series of litigations with its former joint venture partner over forced exit from an energy joint venture. Chambers Europe, 2019: Peter is ranked in Band 1 in Banking & Finance in the Slovak Republic. Sources affirm that Peter "belongs to the top in the legal field of banking and finance," and as managing partner of the Bratislava office, he is credited with having "created a strong team of transaction lawyers." Chambers Global, 2019: Peter is ranked in Band 1 in Banking & Finance in the Slovak Republic. Chambers Europe, 2018: Peter Kubina is ranked in Band 1 in Banking & Finance in the Slovak Republic. Peter maintains his stellar reputation in the market, with clients particularly praising his “extraordinary expertise, excellent knowledge of both the legal and business environments and proactive approach.” He frequently assists domestic and international banks with property acquisition and energy project financing. Legal 500, 2018: Peter is recognized as the Leading individual in Banking and finance and in Dispute resolution in the Slovak Republic. Chambers Global, 2017: Peter is ranked in Band 1 in Banking & Finance in the Slovak Republic. Clients highlight his "excellence, broad knowledge in all financing matters and flexibility in assignments". He covers a wide range of matters including real estate, project and acquisition financing, corporate lending, and capital and export financing. Comenius University, 2007, Doctor of Law, JUDr.